The 693 over-under hunting shotgun blends the best of Beretta's legendary 686/687 series with a few structural and cosmetic innovations. The trim, low-profile receiver features curved locking lugs for unbeatable strength, as well as larger hinge-pins that make the action a champion of durability. Esthetically, the 690 Field III gives you a brand-new engraving pattern that features both elaborate scrolls and game scenes; and the oil-finished wood that it comes with is of a higher grade, giving you a striking work of art out of the box. The 693 comes equipped with Steelium barrels and with the OptimaChoke HP system. From the 3" chamber on forward, the Steelium proprietary steel alloy gives the barrels a combination of lightness and imperviousness to deformation under firing; for the hunter, this means a shotgun that comes effortlessly to the shoulder while offering enviable pattern consistency. Add to this the OptimaChoke HP system, and in the 690 Field III you get a hunting shotgun that will give you low recoil, extreme durability with any kind of loads (2 3/4" or 3") and the kind of accuracy that will always make you successful in the field or at the range. Receivers of the Beretta over-unders have always been highly valued among connoisseurs, thanks to their low profile, strength, elegance and durability. With the 690 Field III, these qualities make yet another step forward. Without altering the height of the action, Beretta has made its locking system stronger and the hinge-pins more durable. From the outside, a brand-new engraving pattern makes this shotgun rich with detail and a striking conversation piece even when it is not in use. This is because at Beretta, we believe that owning a shotgun should be an experience--one that starts every time you open the gun case and admire the works of art that it contains. Wood quality is an important part of the "experience" of owning a hunting over-under. The 690 Field III features the best wood grade of its category to deliver a really amazing look. 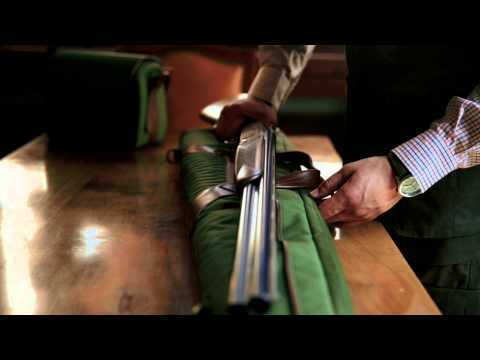 Every stock is carefully selected, checked and fitted by the most qualified Beretta experts, to guarantee the maximum technical and aesthetical standards. Also, the wood is oil-finished to make it more impervious to moisture. The 693 is lighter than the previous generation 687 Beretta over and under shotguns, thanks to the re-engineered barrel / forend-iron design. In its 26" barrel configuration, it will weigh (depending on wood density) only a touch above 7 lbs, making it a pleasure to carry and shoot even on a long upland trek. Point of balance is right where it should be--at the hinge-pin--while the barrels will still feel lively when the shotgun is brought to the shoulder. Furthermore, the gun comes in a set of configurations to fit the needs of the most demanding hunters: 28" barrels (26" available in the future), together with a 38/60 stock drop in both cast-on and -off. Five chokes complete the OptimaChoke HP version, while a fixed choke version will be available upon request. 2" 3/4, 3" 2" 3/4, 3"
We have found this to be the absolute best drop for most shooters; the shotgun will come up to your cheek naturally and align your eye to the target without effort. You can select whether you want your shells automatically ejected or simply extracted (so that you can take them for reuse or simply to be environmentally friendly). The double scalloping at the receiver and shoulder adds a substantial touch of class to the looks of the shotgun. In between, there is a fairly wide plane of sight, thanks to the increased width of the receiver, making pointing easy and instinctive. The 690 Field III comes standard with high-grade wood, to help give the owner a rich, satisfying experience just by opening the gun case or when showing the shotgun to friends. The Micro Core recoil pad gives you two substantial advantages. 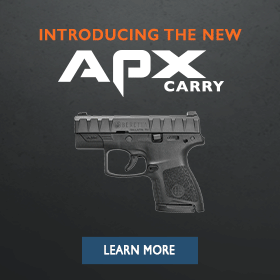 The first is dramatic recoil reduction, thanks to the soft Micro Core polymer that expands on a wide area under recoil; the second is that, while soft, the polymer will not snag or catch on your clothes while shouldering the gun.